Many insurers today are still using legacy core systems that are fragmented, inflexible, complex, and costly to manage. The diverse core systems market is certainly not one size fits all, which means that insurers can choose different paths to update their core systems infrastructure. When insurance companies embark on the mission critical journey to update their core legacy systems, many find a best-of-breed approach is the right one for them. A sophisticated approach in choosing the core systems allows insurers to streamline their business functionalities and align them with the organization's specific needs technical resources, and infrastructure. Further, it assists the core systems solution provider to focus on a single product and gain a deeper understanding of the business and operational process that is being automated based on the needs of their individual customers. For insurers today, the ideal core system should be able to support the full insurance lifecycle including rating, underwriting, policy administration, billing, claims, and customer engagement. The core systems should provide the flexibility to manage the full insurance lifecycle across multiple lines from a single platform. Further, insurance CIOs expect their core systems to be able to handle large amount of data pertinent to business operations and customers. It’s clear that insurers buying core systems which align to their business strategy, needs, and core offerings will be well served in the future. 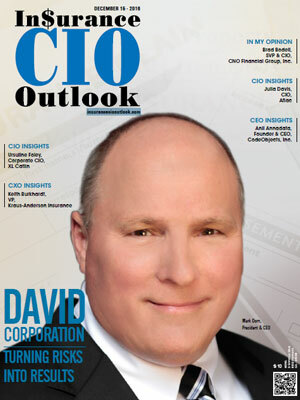 Keeping this in mind, Insurance CIO Outlook has extensively surveyed the market to recognize the top core system providers for the insurance industry. 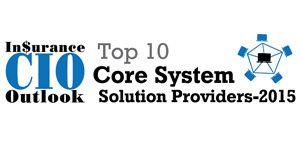 We present to you the Top 10 Core Systems Solution Providers 2016. Provider of digital-ready, customer-centered core software solutions to property/casualty and group insurers. Delivers software and processing solutions to insurance carriers, agents and broker-dealers. Offers a digital product suite to support for Claims, Billing and Policy Administration designed to support Group, Voluntary and Individual business. Delivers a software that supports the property and casualty insurance lifecycle including underwriting, policy, billing, and claims management. Offers software solutions for core insurance functions like Policy Administration, Billing, Claims, Product Modeling, Incentive Compensation and Producer Lifecycle Management. Provides standalone, subscription, and cloud-based software products that automates and simplifies the complexities of core systems with targeted solutions, seamless upgrades and collaborative implementations. Provides technology consulting and systems integration to core systems.